One month from today, Belfast International Arts Festival will be back for 2018 with 125 events from 12 countries, including 12 premières and running over 19 days from 16 October until 3 November. I’ve picked out some of my speech and theatre highlights from the programme which is filled to the brim with quality music, theatre, dance, talks, tours and more from home and abroad. 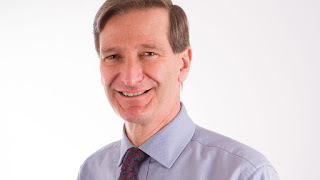 Dominic Grieve QC MP refuses to accept a hard Brexit and will deliver Amnesty International’s annual lecture to discuss the future of human rights post-Brexit. In Human Rights: Brexit, the Border and Beyond, he’ll explain why the UK should stay fully committed to its international human rights obligations and why this important for people in Northern Ireland. Journalist Steven McCafferty will host a Q&A after the lecture. Thursday 18 October Postponed until Thursday 8 November at the Ulster University Belfast campus. Stroke Odysseys is a colourful, original, and perhaps cathartic, music and dance show that integrates the lives, experiences and performances of stroke survivors with a professional cast. The MAC on Thursday 18 October at 8pm. Former Irish President Mary Robinson will discuss her book Climate Justice with journalist Frank McDonald. Her foundation works to secure global justice for often-forgotten people who are vulnerable to the impacts of climate change. Monday 22 October at Ulster University Belfast campus. 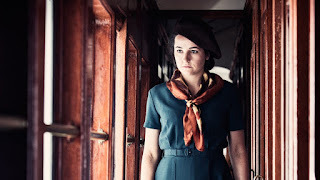 Also reviewed: Dyptik's Dans L'Engrenage (In the Gear) and Isabella Rossellini's Link Link. CANCELLED - Complex identities are not unfamiliar to this part of the world. Facing the Sea, for Tears to Turn into Laughter uses movement, music and chanting to explore the pain of exile and the impossibility of return. Live piano and singing accompany choreographer Radhouane el Meddeb’s story of a man, both Tunisian and French, created in the aftermath of the revolution in Tunisia that kicked off the Arab Spring. The MAC on Friday 26 and Saturday 27 October. The New Playwright’s Showcase returns to the Lyric again, this year with the performances split across three evenings of double-bills of rehearsed readings of new work showcasing the talents of new and upcoming writers. Thursday 1, Friday 2 and Saturday 3 November. The award-winning Open Arts Community Choir will fill the Great Hall in Parliament Buildings, Stormont with vibrant song and testimony from choir members as they celebrate 18 years of music. The choir is made up of people with and without disabilities and were gold medallists at the European Choir Games. Expect to hear fresh interpretation s of classical standards as well as choral arrangements folk, pop and folk classics. Something Inside So Strong on Friday 2 November.